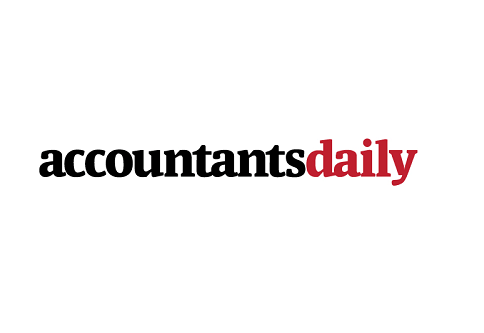 While accountants have the most positive impact on SMEs' revenues, data which shows only a small proportion of SMEs rate their accountant as their most trusted adviser indicated there is significant room to bridge the gap. Scottish Pacific has engaged specialist research firm East & Partners since 2014 to conduct six monthly polls of more than 1,200 SME leaders across all states and key industries to test SME sentiment and concerns. The latest Scottish Pacific SME Growth Index revealed that only a minority of SME owners and leaders consider their accountant as their most trusted business adviser. When asked to identify their most trusted business adviser, only 9.3 per cent of respondents named their accountant. Interestingly, 25.8 per cent named a business colleague or trading partner, 10.3 per cent would rather turn to a friend and 8.5 per cent a family member. Alarmingly 39.3 per cent said they don’t feel they have any trusted business advisers. Scottish Pacific CEO, Peter Langham, said there is tremendous scope for accountants to have an even greater impact on the SME sector. “It’s fairly troubling that so many SMEs failed to nominate a trusted business adviser, instead attempting to ‘go at it alone’ despite the fact that outside advice might help them overcome their barriers to growth and other business issues,” Mr Langham said. However on a more positive note, those SME owners and leaders who do turn to their accountant reported the highest positive impact on their revenue. When SME owners and leaders were asked which advisers had the most positive effect on their business, accountants came out on top with 93 per cent, followed by family members at 69 per cent then colleagues at 59 per cent. Mr Langham said despite business colleagues emerging as the main source of advice for SMEs, the incidence of positive experiences is considerably lower than those who sought out an accountant for trusted advice. “For SMEs with accountants as their most trusted business adviser, 35 percent said they had a very positive impact on their business, with 47.9 percent reporting a positive impact,” he said. Further opportunity exists in how frequent SME owners and leaders consult their trusted adviser, with over one in 10 only sourcing advice annually and only 6.3 per cent seeking advice on a weekly basis. One in two consult their trusted adviser monthly, and almost one in three consult as required for one-off items needing specific expertise.